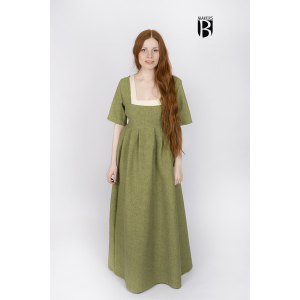 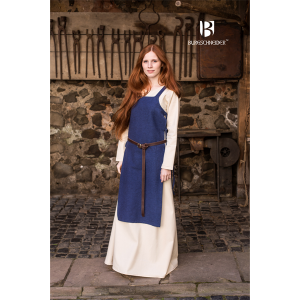 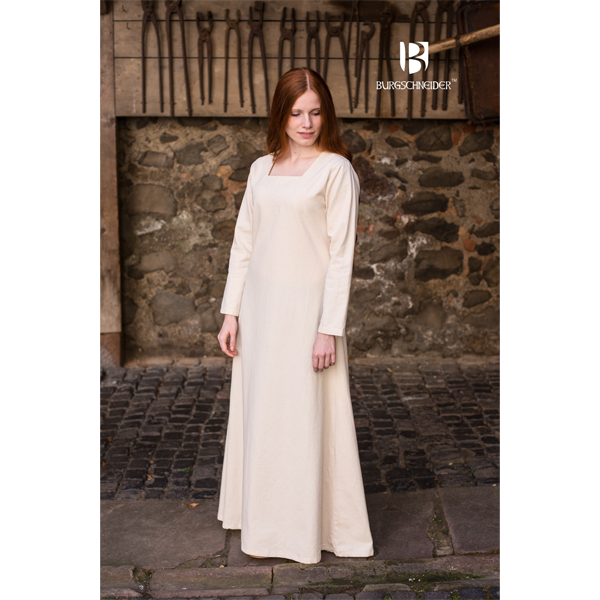 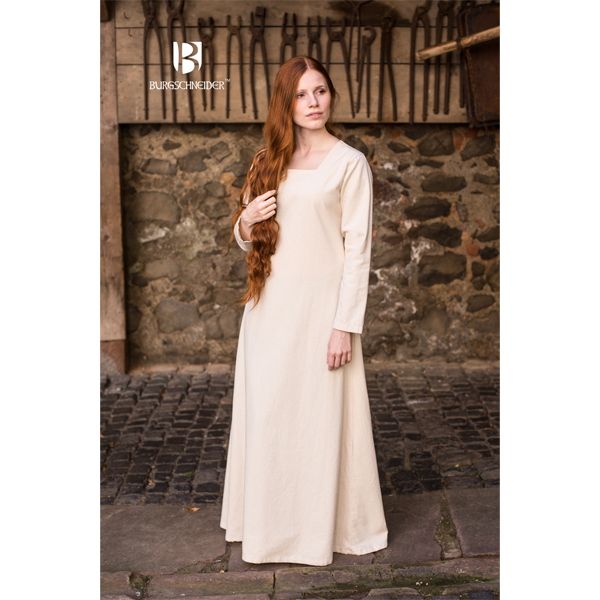 Our Medieval Underdress Johanna?has a very simple shape with a square neckline. 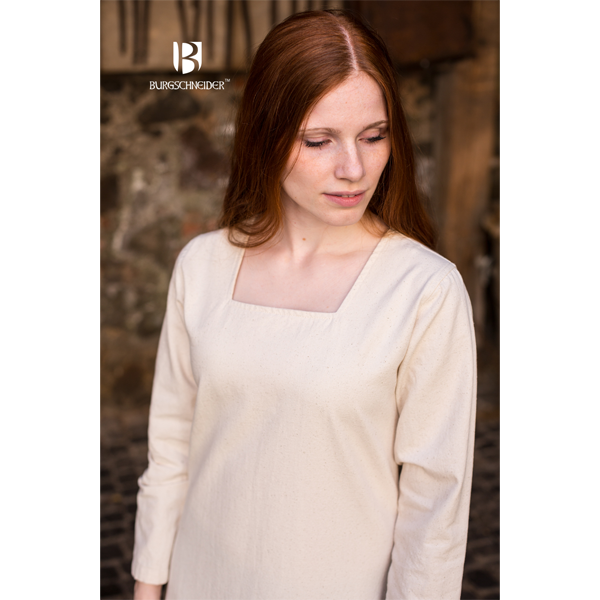 The cotton fabric has a rough texture, feels robust and has linen look. 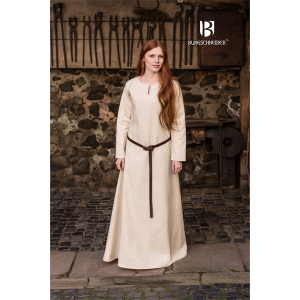 The Medieval underwear can be combined with an overcoat and other accessories.